The following article was reported in today's Philanthropy North Carolina News Roundup by Todd Cohen. 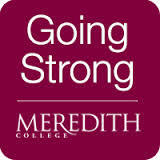 Meredith College is a CapDev campaign client. Meredith College in Raleigh has raised over $41 million in two years in the early phase of a campaign, exceeding the funds it raised in its last seven-year campaign. The total includes over $18 million raised in fiscal 2013-14, eclipsing the single-year record of $7.2 million. The total also includes a $3 million gift by alumna Katherine Furches Rumley that will establish the Ellen Amanda Rumley Memorial Scholarship, in memory of her daughter, a member of Meredith's class of 1977. The campaign has been supported by the Meredith College Campaign Planning Committee. Honorary co-chairs of the committee are alumna and broadcast journalist Judy Woodruff, and Raleigh business leader O. Temple Sloan, Jr.